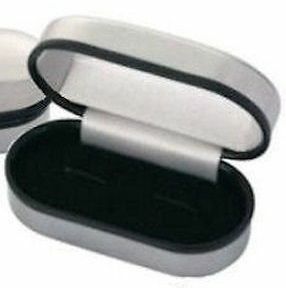 Polished chrome plated cuff link case/box. An ideal for gift for the Best Man at the Wedding. 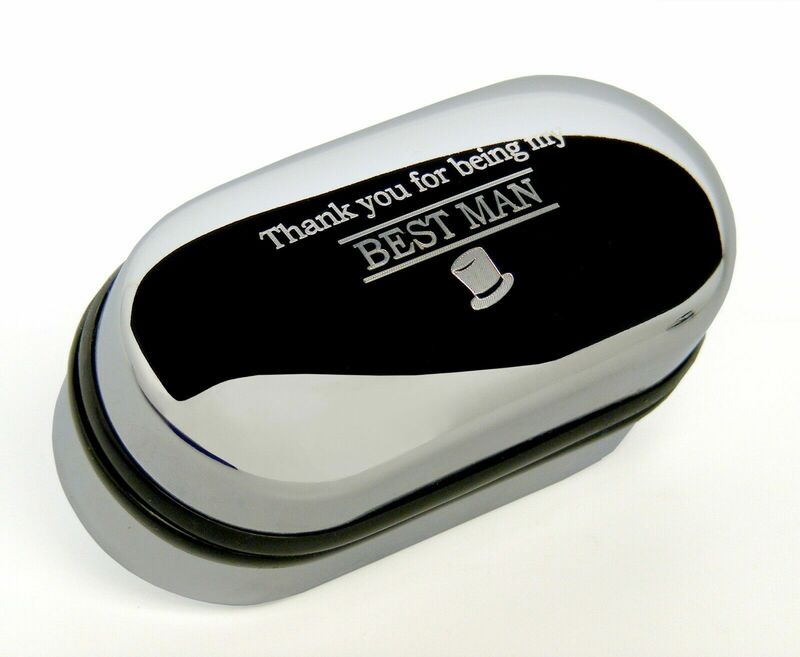 The top of this cuff link case has a image of a top hat and the wording Thank you for being my Best Man. There is no personalised option with this case.